I’ve said it before, and I’ll say it again: Community managers have a challenging job. They’re on the front lines of your social media and digital channels each and every day as the voice of the company. Tasked with driving engagement while ensuring fans have a good experience with your company, they see it all—the good, the bad, the ugly. So, why not let them have a little fun? A new extension of Ikea Singapore’s “Improve Your Private Life” campaign does just that. Following a hilarious video on improving your private life, in which the company introduces guru Fille Güte, Ikea Singapore took to Facebook to launch the Shelf Help Guru Contest. 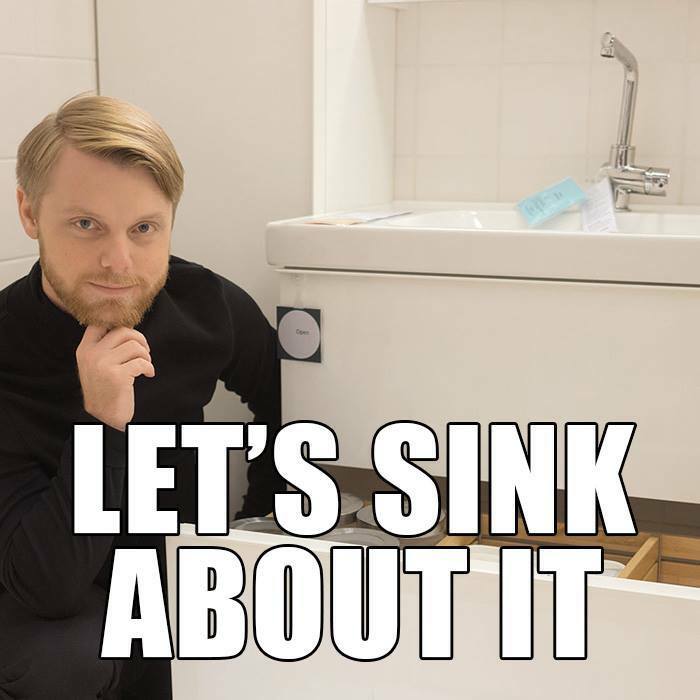 In the contest, the company encourages fans to ask a question on how to improve their bedroom or bathroom for a chance to win a $50 IKEA Gift Card. 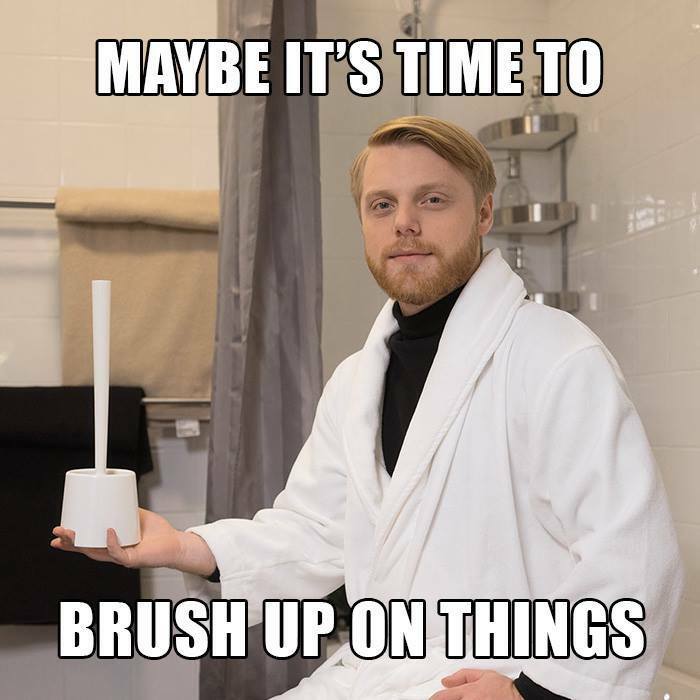 Although a seemingly simple idea, what makes this campaign shine is the clever use of memes and puns both in the Facebook post creative as well as the comments. 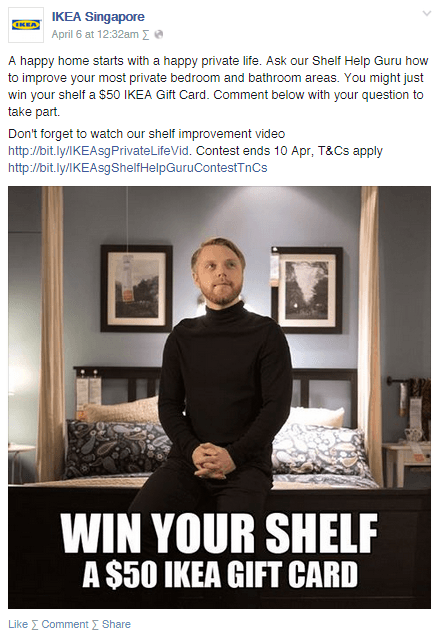 To drive participation and engagement around the contest, the community management team for Ikea Singapore responded to every comment with a funny meme starring the Shelf Help Guru. 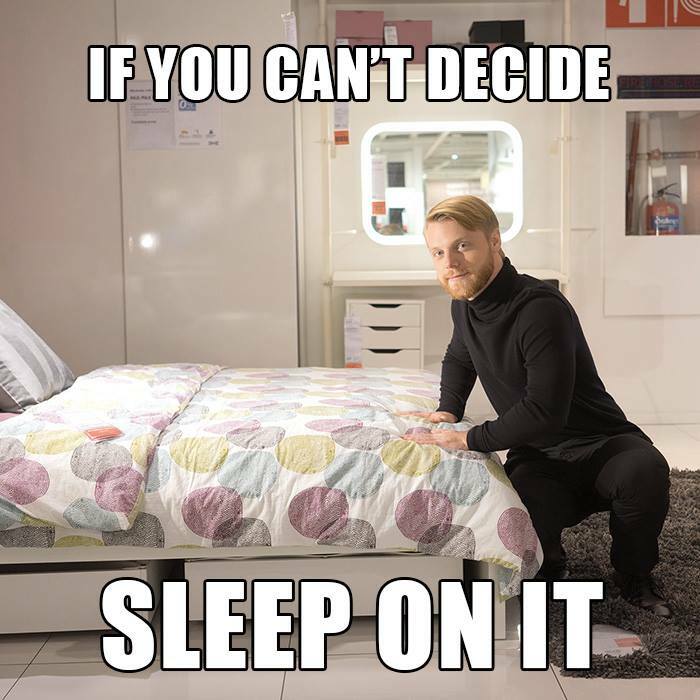 Each meme is different, personalized to the question or comment, and includes a link to the relevant Ikea product page. So, what can you learn from this journey of “shelf discovery”? Want your 1:1 response to a fan to be more memorable? Include a visual or video response. While text alone can easily generate a re-tweet or share if it’s done well, a visual or video response feels more special and ultimately more shareable. Take a cue from Ikea Singapore here by curating a series of evergreen images or videos around frequently asked questions, comments, or moments and personalize by user or message to drive efficiencies. Humor is hard to master (Note: Learn from this social pro all about humor! ), but don’t let that scare you away from showcasing the more lighthearted side of your brand with community management. Consumers enjoy when a brand can poke a little fun at themselves and make people smile. Community managers are uniquely positioned to look at how fans respond to humor on a daily basis and test different types of responses . Consider this a mini focus group to power a broader campaign or piece of content. Look no further than Groupon’s recent banana example, which demonstrated that the company’s community is clearly open to a certain type of humor. Succeeding in today’s social media environment calls for more than just campaigns—it calls for creating positive experiences for your customers. Community managers do this each and every day, but this campaign is a good reminder of just how valuable their efforts are—and the details that go into executing them flawlessly. With Singapore Ikea’s campaign, the contest alone wouldn’t generate an experience unless you happened to win the gift card. The humorous personalized meme responses took the campaign to the next level and resulted in a memorable experience that generated brand affinity for a broader group fans. This campaign is also a good reminder that if you’re not involving your community manager in a strategy session for your next social media campaign, you should be!